Glenda Outlaw Jones, 72, of Holly Springs NC passed away peacefully January 24, 2018 in Cary, NC surrounded by family and friends. Glenda was born in Duplin County NC to the late Willie & Lorene Outlaw on April 12th, 1945. She graduated from James Kenan High School. Glenda worked and retired from the NC General Assembly. She is survived by her husband Billy F. Jones of Holly Springs, son Barry E. Jones of Raleigh, daughter and son-in-law Rebecca J. and Tommy S. Cooper of Cary; a brother and sister-in-law, William F. and Christine W. Outlaw of Mount Olive; four grandchildren, Bryce E. and Blair E. Jones of Raleigh and Jones O. and Molly J. Cooper of Cary. 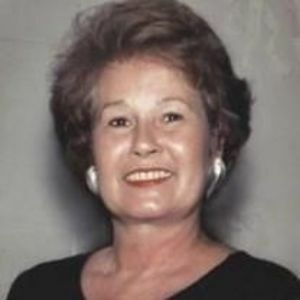 She was preceded in death by a son, Billy F. Jones, Jr.
Glenda was a vivacious lady, who loved life and cherished the time she spent with family and friends. Visitation will be Sunday January 28th from 3:00pm - 4:00pm at Apex Funeral Home located at 550 W. Williams St. Apex, NC 27502. Funeral service will follow at 4:00pm. In lieu of flowers, the family has requested that donations be made to Bethel United Methodist Church, 144 Bethel Church Road, Mount Olive, NC 28365, or a charity of your choice.